Kids Math Teacher: Danica McKellar tweeted about my hands-on fun math book! 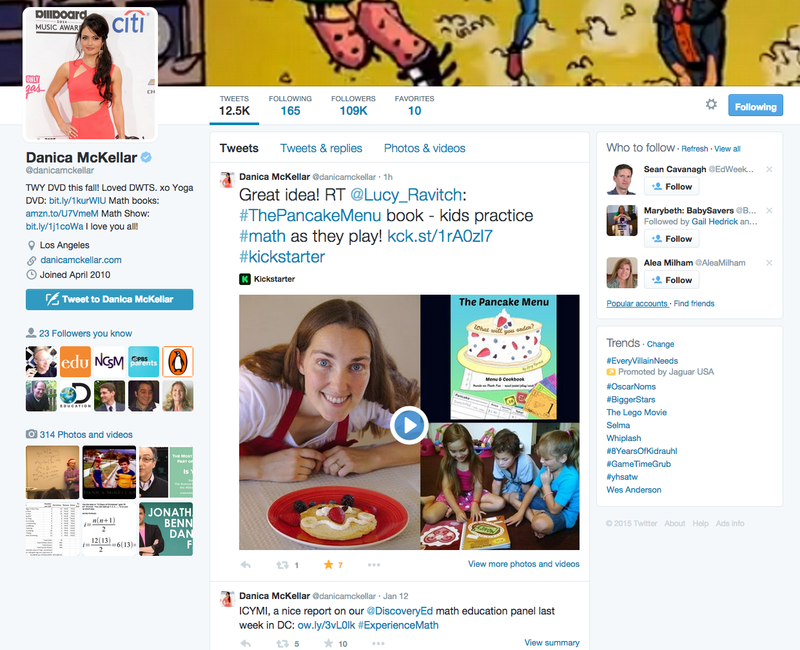 Danica McKellar tweeted about my hands-on fun math book! I'm so excited! Actress Danica McKellar tweeted to her fans about my book! She was Winnie Cooper in The Wonder Years show years ago. 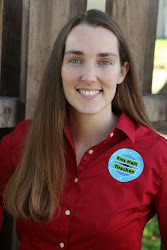 She is a big math supporter (with the degrees to prove it) and has quite a few great books for middle school girls about how math is fun and everywhere around us. I know how much kids can enjoy math when it is a fun experience. Kids love to solve problems and explore. Let's make The Pancake Menu get funded on Kickstarter so kids can have the book and play with it. There are only 16 days left for the Kickstarter and if the goal of $20,000 is not reached by the end of January I can't produce the books for you. Don't wait! Kickstarter might be new to you. All pledges don't get charged until after the campaign is successful reaching the goal! If the goal isn't reached, no money is charged.